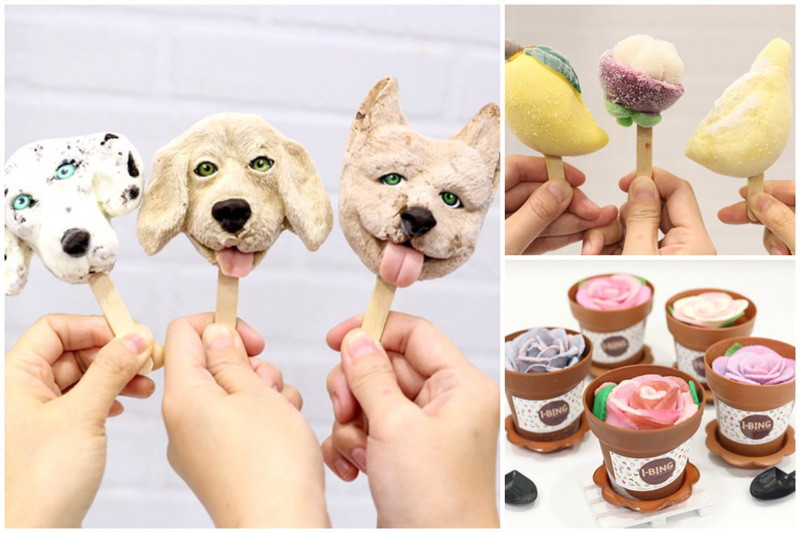 I know it is the Lunar New Year of the Dog, and these cute puppy ice cream from I-Bing probably come quite coincidentally. 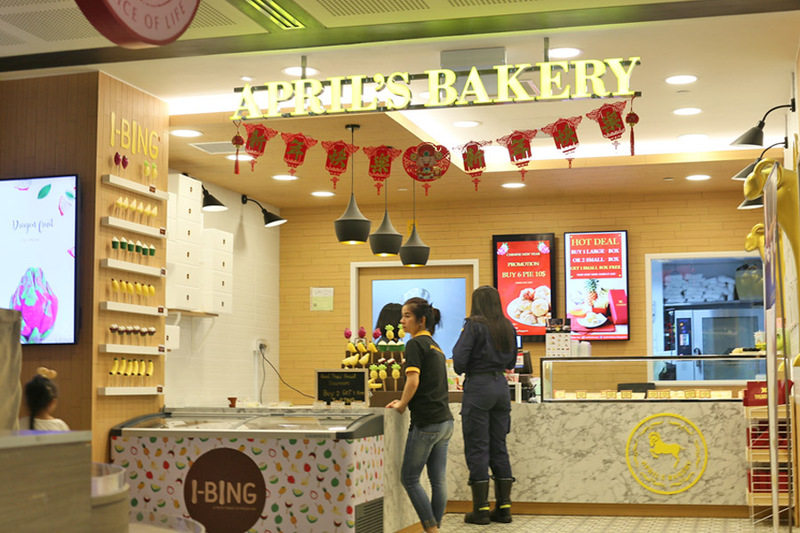 I-Bing is a NEW sister brand of April’s Bakery – the people who introduced Cantonese-style sweet pies with soft fillings of Thai Milk Tea, Tokyo Banana and Taro at Tampines (outside the MRT train station), One Raffles Place basement, and Chinatown Point. 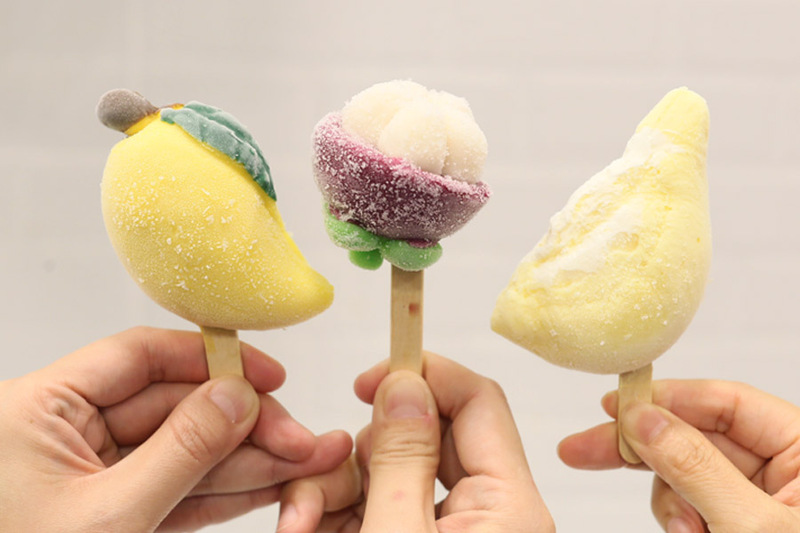 They offer primary Fruit, Rose and cute Puppy popsicle-type ice cream, and more are in the works. If I were to recommend, it would be the Fruit Popiscles, shaped and coming in flavours of Durian, Mango, Mangosteen, Pineapple, Coconut, Dragonfruit and Banana. These are fruits most popular in Thailand as well. Priced at $4.95 or $5.50 depending on the fruit, and there is currently a Buy 2 Get 1 FREE promotion. The Durian-stick was a creamier version of the real fruit, without the ‘fragrance’ as well. While it looked almost as if there could be icy parts within, the texture was smooth and dense. 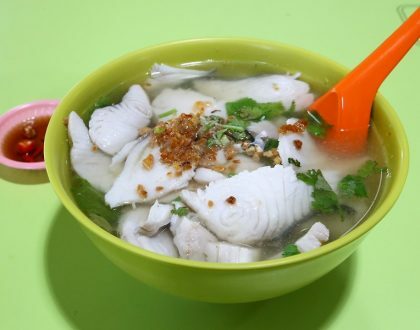 The service staff told me that her favourite is Mangosteen, though Singaporean customers seem to prefer Mango. 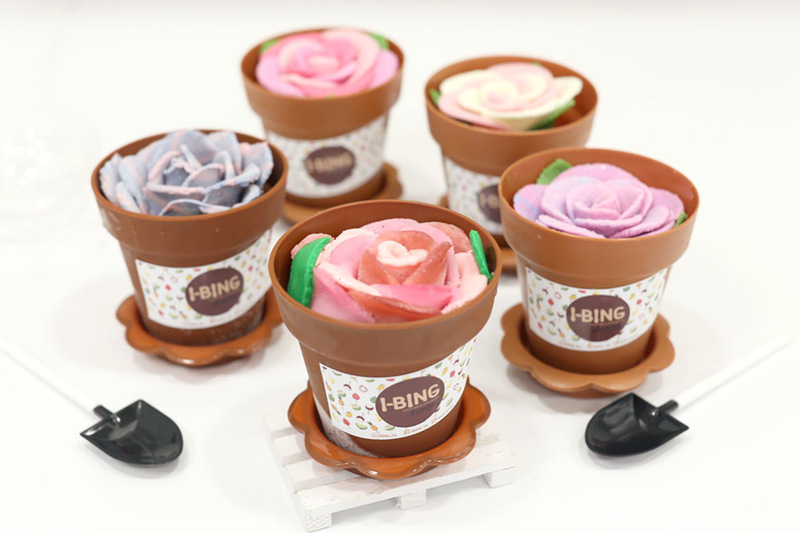 You can send flowers in the form of ice cream now, with these Rose Pot Ice Cream ($7.50 for one, $21 for three). 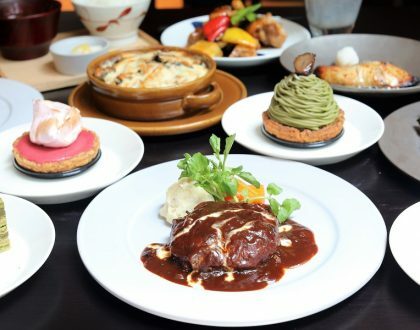 In flavours of Pink Milk, Pink Lemonade, and Blueberry Mint, each pot contain different layers such as pink milk, cracker pie Oreo cookie ‘soil’, and yogurt cheese pie. I thought these were overall to the sweet side. 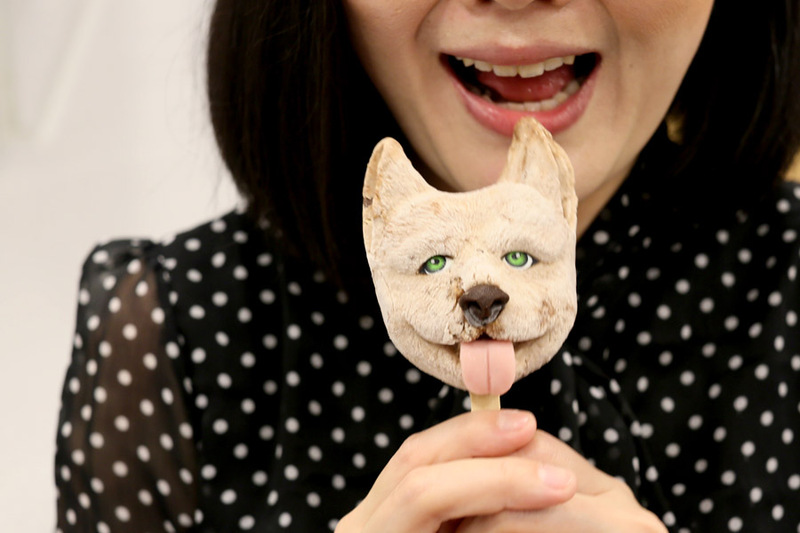 Eating these Puppy Ice Creams feel strange, perhaps also because they looked almost too real. 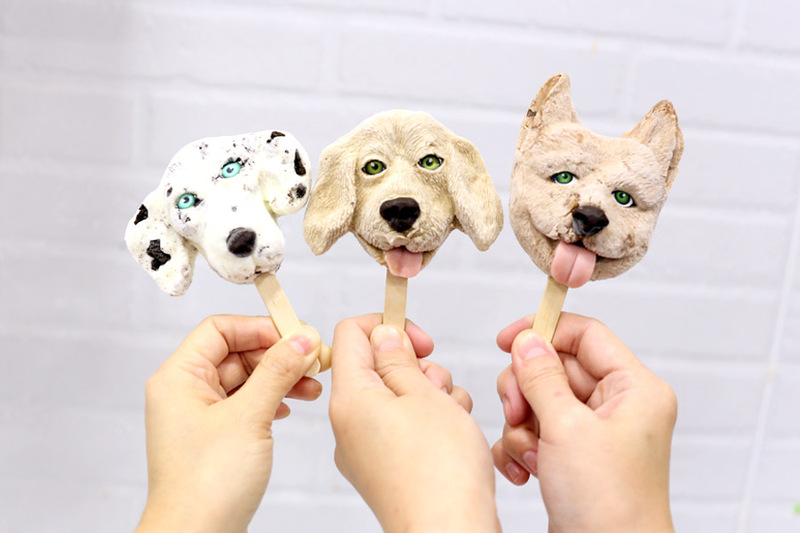 They come in flavours of Earl Grey (Golden Retriever), Ovaltine (corgi), and Double Cookies and Cream (Dalmatian). 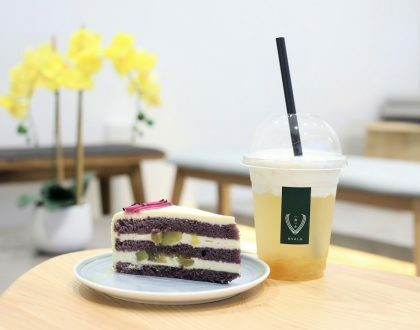 Get the Earl Grey, with the light tea flavour, creamy, and just sweet enough.